When deck safety is always the best policy. Deck safety is very important. A carefree evening with friends and family can be ruined in a moment by a deck failure and sudden injury. 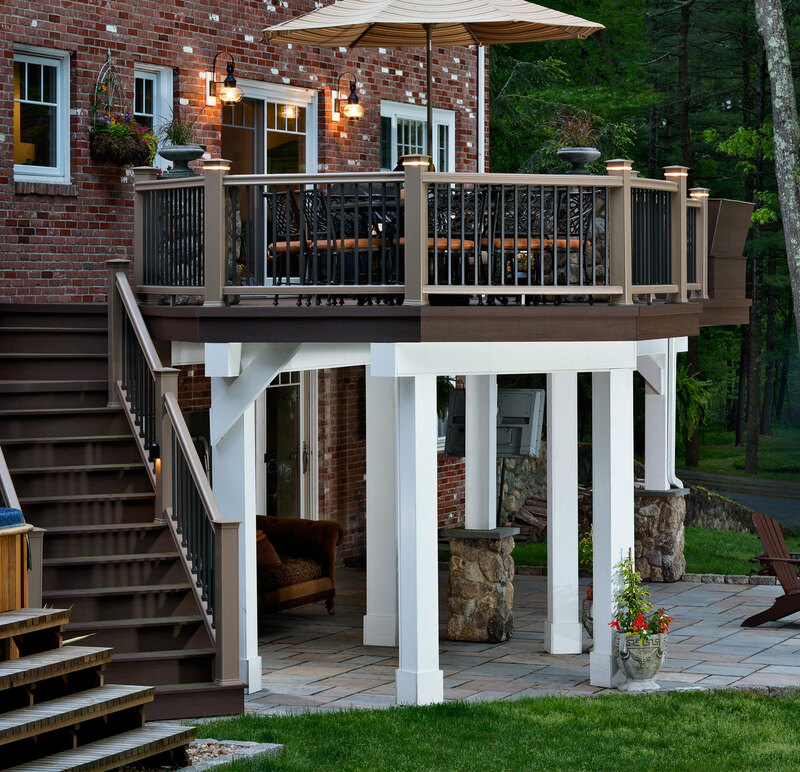 At Archadeck, we recommend periodic deck safety inspections to ensure your outdoor space is fit for entertaining. Our acronym BE SAFER sums it up quite nicely. Hover over the BE SAFER letters in the photo below to find out how. To keep this information handy, download our Deck Safety Tip Sheet. A deck should be built using a variety of fasteners and metal hardware connectors to create a continuous pathway to ensure deck stability and safety. Check to see if the appropriate fasteners and connectors were used when constructing the deck. Look at the condition of the hardware. Does any of it need to be replaced? The footings receive and support the weight (also known as the load) on a deck and the columns that bear on them. A footing that is sinking may cause a noticeable sag in an area or a column separating from a beam. Check the areas where people exit from the deck. These exits usually involve stairs, so be sure to check the condition of the material used on the stair stringers, stair treads and risers.